At yesterday's WWDC, Apple announced the iOS 5 (as expected) which has so many features and new APIs that will only leave developers overwhelmed. 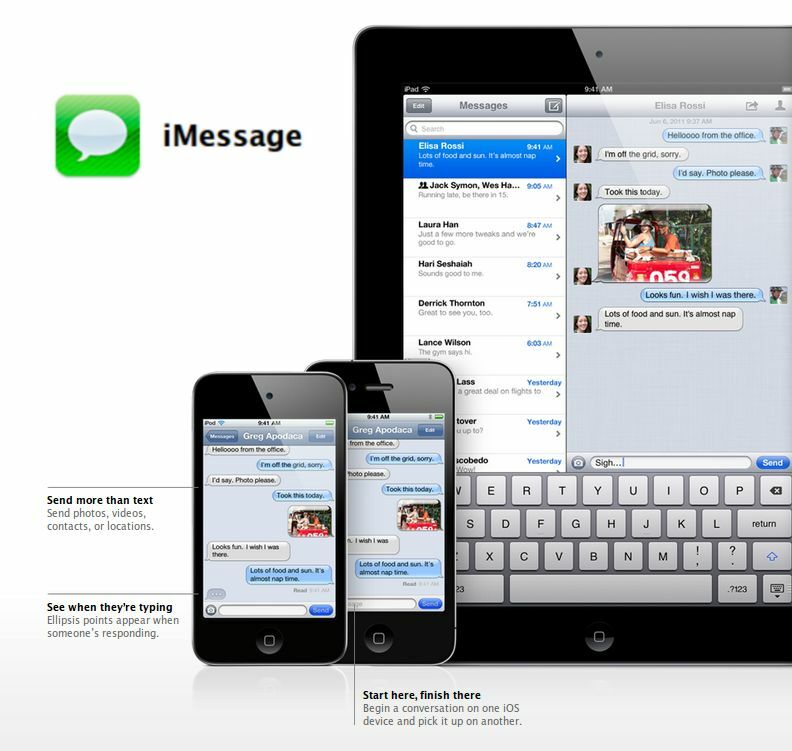 One of the new features which iOS 5 is going to have is iMessage. So what is this all new iMessage? As the name suggests, it is a messaging service for users all across Apple's devices like the iPad and the iPod. iMessage is somewhat similar to BlackBerry (BB) Messaging service - one of the offerings from BlackBerry along with their e-mail services which BB users are really fond of. BB Messaging lets users have a chat in a closed group and it's the exclusivity that drives the service totally. Users can connect to each other via Apple ID (the credentials that are used on the Apple iTunes store) just like BB users, who have a BB Pin number to connect to each other. Send unlimited text messages from your iPod, iPad or iPhone to your friends having one of these devices. The messages are sent via the internet through 3G or Wi-Fi. iMessage is deeply integrated into iOS and lets you send even photos, videos, locations & contacts to your friends in addition to regular text messages. Just like BlackBerry messaging, all the text conversations you have with your friends on iMessage is encrypted and is secure. 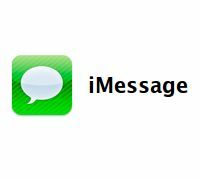 iMessage is your "chat + sms" combo as it lets you opt for read alerts, delivery alerts and also lets you know when a friend has started typing to send you a message. iMessage is synced on cloud! This means you can chat with your friends from any Apple device you have without having to remember what were you talking about the last time. Grab any of your iOS devices (iPad, iPod, iPhone) and start iMessaging right away from the point where you left off last time.